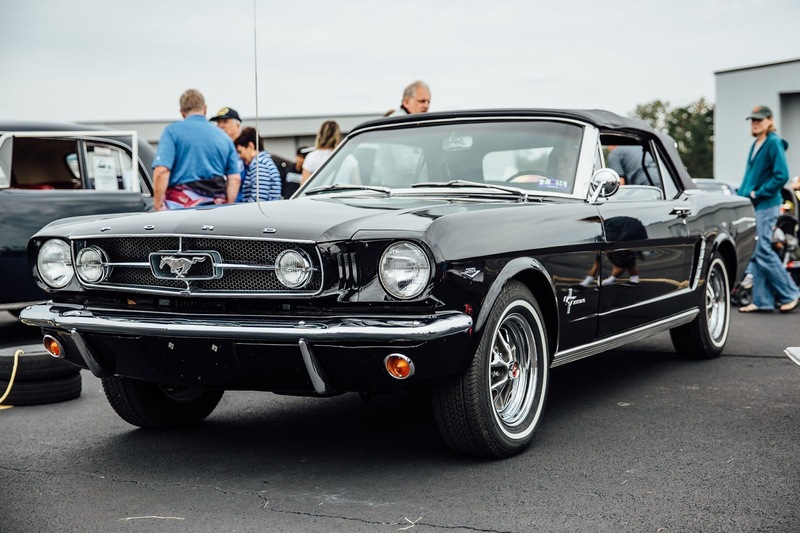 From humble beginnings in the 1960s to being one of the most coveted vehicles on the market, the Ford Mustang has remained an iconic piece of American popular culture. Wherever you come from, when you see a Mustang, there’s a certain unexplainable cultural capital the car carries that everyone inherently understands and can identify with. Where did this beautiful vehicle come from and how did it rise to prominence? Below, we’ll take you through a brief history of the Ford Mustang. 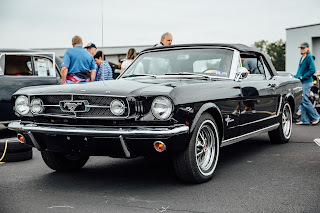 Originally conceived as the sports car for the workingman, the Ford Mustang was unveiled by Henry Ford II himself at the World’s Fair in New York on April 17, 1964. The design and name of the vehicle was actually inspired by the World War II fighter jet of the same name. This naming scheme was definitely intentional, as many of the people who fought in the war or grew up around the time of the war, heavily identified with the name and felt a sense of security and nostalgia with the design. Almost immediately after the car was introduced, it rocketed to popularity around the country, with consumers buying up tens of thousands of vehicles within the first few days that the car was on the market. Not too long after that, the Mustang became an undeniable icon and symbol of American youth, resilience, and innovation. The Mustang is still a prominent fixture in American pop culture today, often featured in films, television shows, and other public outlets. In fact, the Mustang reached such iconic heights as to be immortalized on a stamp made by the US Postal Service in 1999 to commemorate and celebrate the 35th anniversary of the vehicle’s unveiling. The Ford Mustang is without a doubt an iconic vehicle. Part of the reason for this icon status has to do with the aesthetic of the car, both regular and convertible. The Mustang convertible model takes the vehicle’s spirit of exploration and innovation to entirely new heights, and being able to maintain that quality of the vehicle will lead to many years of driving enjoyment. One easy and simple way to maintain the integrity of your Mustang convertible would be to install a replacement soft top, like the ones made with our patented technology. Not only do we fit most models of Mustang on the road today, our convertible tops are precision cut to provide a perfect fit and deliver the durability and integrity you won’t find elsewhere. With their triple-ply construction, premium materials, and reinforced bonding, our soft tops will keep your Mustang looking fierce and fresh for years to come, because icons never rest! Ford mustang has such a great history, Thanks for sharing this information with us. You can buy led lights for ford f350 which will give high intensity on road, help you to get clear visibility. Wider longer and with larger engines that is the Ebullition era Mustang that cemented the Mustang as the terrible boy vehicle of the Sixties. but it confronted a few severe competition the Carom had just regarded together with the Cheap Custom Printed T Shirts Barracuda and fire chicken. Even extra lard changed into brought for this revision which, blended with the brand new emissions requirements and the backlash from the 1973 Oil crisis strangling the engine all the way down to simply inside the six-cylinder version, wasn’t in reality the Mustang’s best hour. however you’d higher trust there has been worse to come back.